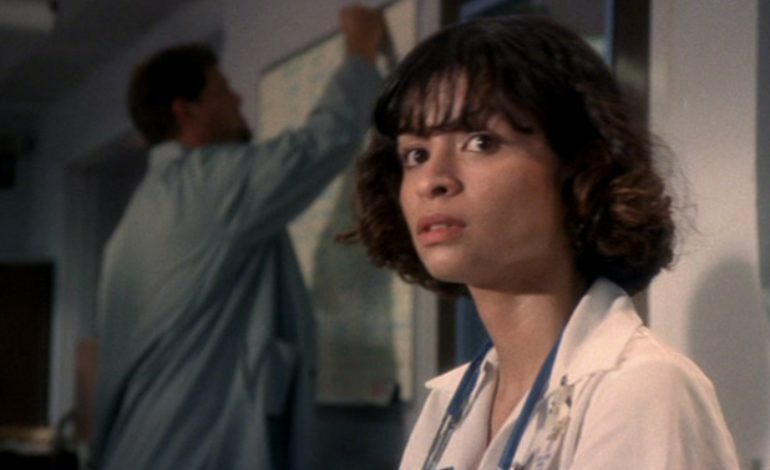 Vanessa Marquez who played in the 1990s NBC medical drama ER as Wendy Goldman (acted as a nurse for three seasons) was killed Thursday in an officer involved shooting in her home at South Pasadena. When officers arrived on the scene the officers said that she was having seizures and seemed to be have been suffering mental health issues. Marquez was 49 years old. CNN reports that according to LA County Sheriff’s Department she was shot and killed by police. This happened when officer responded to her emergency medical call. This happened because after 90 minutes of attempting to offer Marquez medical help, policed noticed that she seemed to have armed herself with what looked to be a handgun; however, the weapon ended up being a BB gun. During a press conference later that day Lt. Joe Mendoza from LA Sheriff’s homicide bureau gave a description on what happened. He said that the officers were called to the scene by a landlord, who reported that the woman was in some sort of trouble. According to the South Pasadenan, officers had been called to the residence before for help. Marquez was taken to a local hospital, but she was pronounced dead. This happened at around 1:48pm on 1100 block on Fremont Avenue.